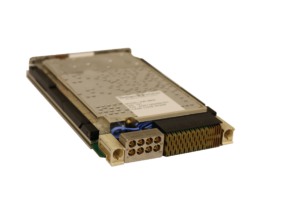 Intelligent RF Solutions maximizes performance while minimizing size and power with the iWR-6800 single channel 0.5 to 18 GHz Microwave Tuner with optional extension to 26.5 GHz. The iWR-6800 is based on iRF’s SMART receiver technology which addresses SWAP while maintaining superior RF performance. 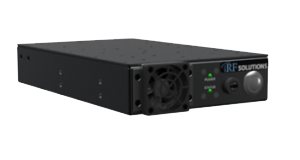 Despite its small size and low power, the iWR-6800 design provides excellent phase noise performance, signal fidelity, and out-of-band rejection. The tuner converts the 0.5 to 18 GHz frequency range to a 1 GHz IF with 500 MHz of signal bandwidth. The signal is further down-converted to an IF at 160 MHz with 100 MHz bandwidth. The iWR-6800 functions for both single and multi-channel (frequency and amplitude coherent) systems. This is accomplished using a daisy chained LO distribution system. Request a Specification Sheet for this product.